A lifetime's worth of homekeeping know-how, this towering volume is sure to be one of the most comprehensive books on the subject. Let Martha show you around the home, teaching you everything you need to know in order to clean, care for and maintain it along the way. When the first issue of Martha Stewart Living was published in 1990, I could not have begun to anticipate how wide-ranging our readers' homekeeping concerns would be. Since then, we have discovered new solutions to age-old problems, brought in experts to advise us on very specific questions about very specific?c concerns, and experimented with all the new (and not so new) home-care products. Over the years, I've brought these lessons home with me, too, which has made me more organized and made my homes better cared for and maintained. Households are busy places, works in progress where there is always something needing immediate attention and always something more that can be done. With that in mind, I have organized this book to address the tasks at hand and also to address the "more that can be done" for when you have the time and the inclination go beyond the essentials. It starts with the big picture--an examination of every room and everything you will find within each. The eleven chapters in the "Room by Room" section take you on a tour through the house, focusing on the surfaces and furnishings you might find in any room, and offering strategies for their care and maintenance. 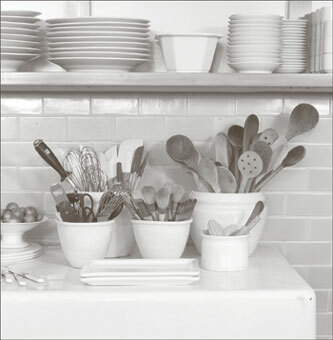 Starting with the kitchen, the central staging area in any home, these chapters open with practical space-planning advice, followed by the golden rules of organizing. This information is intended to help contain your belongings and make each room clutter-free and functional. Relevant homekeeping concerns particular to each room are explored in depth--so stain-removal basics appear in "Laundry Room," the best way to clean grout in "Bathroom," and easy sewing repairs in "Utility Spaces." The equipment essential to each room is also addressed, so if you are considering what kind of bathtub to install during a bathroom renovation or whether a gas or electric range would best suit your style of cooking, you will have the information necessary to make such an investment with confidence. I bought Martha Stewart's Homekeeping Handbook for my daughter's bridal shower, and though I haven't read it myself, I can say that she is enchanted by it. She even reads it when she meant to be involved in preparations for the wedding. The night we were talking on the phone and she wanted to get back to the section on "five types of kitchen towel weaves" that I realized Martha had a whole lot more advice to give her than I did. We both believe that "a cat can look at a king"--i.e., we don't have to be like Martha in every particular, but we can enjoy watching her at her domestic best, and she inspires us to be a bit more conscious of making a house a genuine home. I have owned this book for about a month and have found it useful as a cleaning guide. Pluses: she recommends non-toxic cleaning solutions, which you can make at home using vinegar, baking soda, and dish soap; the book is classy, with nice pictures, which makes it an attractive gift; it contains a wealth of information, and I know I will refer to it often over the years; the materials guide is useful, since I am often concerned that I am using the wrong cleaners on sensitive surfaces like tile and chrome. It is surprisingly "green" in orientation and doesn't simply recommend brand-name products; I like her little tips on things like how to fold a sweater. Minuses: I wouldn't use this book as a general DIY manual. Her instructions for re-caulking a bathtub, for example, are deceptively simple and leave out important steps (like taping to insure a clean line). I didn't have enough instructions to carry this out properly and ended up making a very ugly, amateur-looking fix. The book often seems directed at a wealthy audience--who else would have room for a designated "gift-wrapping station" in their house? Greatest home cleaning book EVER!! Martha's simplistic and realistic approach to caring for your home, shines through in this wonderful book. 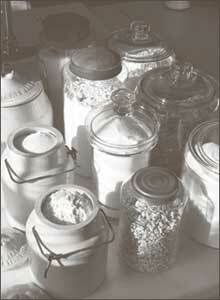 It is stuffed with useful and informative solutions to homekeeping. This book would make the perfect house warming or newly wed gift or tell-all reference guide for the bachelor too! THE BEST GIFT FOR NEWLYWEDS! I bought this for a friend a year ago and put it on my Christmas list for this year. Santa was a good boy and now I have my very own copy. I've been a home-maker and careerist for 42 years and think I know a lot about running a home, but this book has things to teach everyone, whether you are a new bride or apartment dweller or an experienced home maker. Everything is addressed here, including how to set the table and serve dinner for a formal party, and then how to clean your china, crystal and silver afterward your guests have departed. My own hint, which I don't think Martha included: always count your flatware right after a party so you can retrieve any that inadvertently ended up in the trash. It happens. I really love her checklists- everyone makes them, but Martha's are a good guide for starting out. I was really impressed with her cleaning schedules- OK,Martha cleans more than I do, but you can look at her lists for daily, weekly, quarterly and so on, and use them as great reminders of tasks that you might overlook. I'm also pleased to see how 'green' and multi-functional her recommended cleaning products are. Despite heavy marketing by the manufacturers of home toxics, you don't need a separate poisonous product for every finish and surface. Who says you can't make money if you're a housewife? Martha has built an entire empire on it! 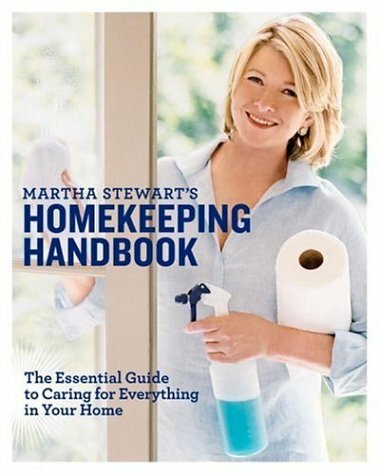 I am an avid fan of Martha Stewart and I congratulate her for the new useful book she authored. The book seems too heavy but well it is full of great and helpful ideas that everyone can make use of especially in their journey on taking care of their household. However, if you wish to have a quick and handy reference guide as you clean the entire house, this book isn't suitable for you. But still I hope everyone will acquire this especially those couple or family who have just moved to their new house. I hope you grab this book and learn some more. I also suggest this book to the newly weds out there. 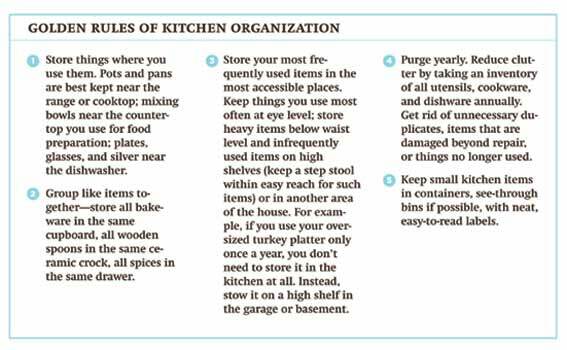 Another good thing about Martha Stewart's book is that, it completely enumerate the essential steps you have to follow when cleaning or tidying your closet, bedroom, garage, kitchen, dining's etc. As someone who is a huge fan of Martha Stewart's, I was sorely disappointed with this volume. It lacks all of the lavish detail, beautiful design, and luxury of leafing through issues of Martha Stewart Living Magazine, and all of the fun and personality of Martha's two TV shows. There is very little color, the descriptions are dry and frankly very basic. A world of information, great book!! The book is great exactly what I expected. I ordered 2, 1 to give as a gift and the only problem was they came and were a little tattered.